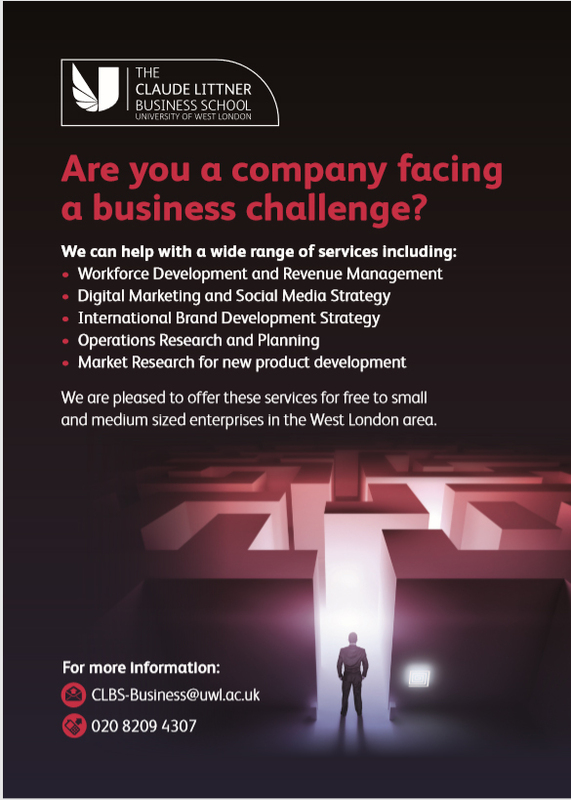 The University of West London’s Student Business Consultancy offer sees Post Graduate Students, supported by their Academics work on a solution to a Business Challenge, free of charge for 4 x months. Download the programme flyer with more details and examples of what business solutions can be provided by University of West London students. 3rd Meeting: Students present their business solution to the Client. Please call Aqbal Mohindroo on 0208 209 4307 to discuss further.